Welcome to Orange Beach! Emerald Coast by Owner is proud to offer you a large variety of luxurious beachside homes for your vacation rental! Stay in Legacy Key for a vacation of a lifetime. Our properties are extremely elegant and comfortable for your satisfaction. Our beach is full of white sand and sky blue water, which can be relaxing, or an absolute blast. Lounge out, relax and enjoy the sun, or make the most with the local attractions. Numerous places along the beach offer you plenty of fun, with the parasailing agency, boat tourism, deep sea fishing, paddle boarding and much more! Food wise, this area is amazing! One of our favorite places to eat are Shipp's Harbour Grill, a great spot known for it's steak, seafood and sushi right along the water. Another delicious eatery is Cotton's Restaurant, a former beach house, this surf n' turf spot provides delicious food and excellent service! You don't want to miss a meal at either of these places, especially during the sunset. 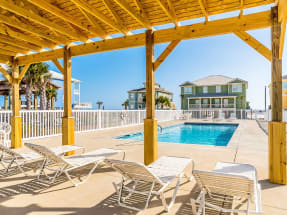 Book your dream vacation home with Emerald Coast by Owner. We have hundreds of Beachside Home vacation properties like Legacy Key. Book here now! We make it easy for you to choose where and when you stay, so contact us with any questions!